British Columbia is the westernmost province in Canada and is a place of immense natural beauty with vast green forests, snowcapped mountains, and rugged ocean coasts. BC is also one of the most diverse provinces in the country, with more than one million residents who were born outside Canada. British Columbia is extremely welcoming to new Canadians, and the province attracts approximately 35,000 immigrants each year. BC is also renowned for its high quality of life, with Vancouver consistently being named as one of the most livable cities in the world. One of the easiest ways to immigrate to British Columbia is through Canada’s new Express Entry Immigration Program. The British Columbia Provincial Nominee Program (BC PNP) allows the province to nominate individuals for expedited Canadian permanent residency if they are interested in living in BC and have skills and experiences demanded in the local economy. If you are interested in British Columbia immigration, there are two ways to apply for a BC PNP nomination. The first method is to contact the British Columbia PNP directly to apply. If nominated, the potential immigrant can then build a new Canada Express Entry profile and import their BCPNP nomination credentials into the immigration system. The other approach is to start by creating an Express Entry profile. Once you have signed up for Express Entry, you can use the system to indicate an interest in BC immigration. The BC PNP can then invite potential immigrants to apply for the program through Express Entry, and nominated individuals will instantly be credited with 600 points on their Comprehensive Ranking System (CRS) score. This will essentially guarantee the individual an Invitation to Apply (ITA) during the next Canadian Express Entry draw. Our experienced Canadian immigration professional can optimize your Express Entry profile for British Columbia immigration through the BC Provincial Nominee Program. Once successfully nominated, we can also help you apply for Canadian permanent residency. Canada PR applications that are processed through Express Entry are typically adjudicated in under six months. Interested in BC immigration? Contact our team today for a FREE consultation with an experienced immigration professional. Eligibility for those wishing to resettle in British Columbia via the BC Provincial Nominee Program is determined through one of these sections. Both the Skilled Immigration option and the Business Immigration option are split into different sub-categories that decide whether the applicant is eligible to receive a BC Provincial Nomination Certificate. Skilled immigrants in the health care field, or who have graduated from a university or college in British Columbia, can apply to the program through BC PNP Online. Others who have received a full-time job offer in BC will need to register under the PNP British Columbia Skills Immigration Registration System (SIRS). The Skilled Worker Category – workers who have received a legitimate job offer for skilled employment can apply under this section. Several years of work experience in the relevant sector is a necessity when applying. International Graduate, Canadian Degree Category – this section is open to international students that have graduated from a legitimate and eligible Canadian education institution in the last two years. A job offer is necessary for the applicant to be considered. Unless noted elsewhere, the following requirements apply to all BC Skilled Immigration streams. We will now examine the various BC Skilled Immigration streams in detail. The Skilled Immigration section of the British Columbia Provincial Nominee Program 2018 is made up of 5 different sub-categories and each has its own rules and eligibility requirements. This British Columbia PNP sub-category is available for individuals that have a university degree or any post-secondary education/training, and a number of years of work experience in a skilled employment field. Applicants must meet the following requirements to be eligible for this BCPNP option. The employer that is offering the job to the applicants must meet the following requirements. Each of these of these jobs comes with explicit requirements that apply to each one separately as follows. Have a letter stating they have a positive assessment from the leading physician at the College of Physicians and Surgeons in British Columbia. This option is open to international students that have graduated from a post-secondary educational facility in Canada in the last two years prior to applying for the BC PNP. Work experience is not an absolute necessity, but proof of a job offer from a British Columbian based employer is a requirement. The following requirements must be met for the applicant to be deemed eligible. Applicants must have obtained either a post-graduate or graduate degree from a university or college in Canada. Full-time 12-month diplomas will also be considered if they were gained at a Canadian post-secondary institution. All employment offers must be of an NOC 0, A or B level and if the job offer is an NOC C or D level, proof must be provided that shows the applicant will work their way up into a 0, A or B position. This BCPNP sub-category is an option for individuals who have studied at a British Columbia institution and graduated with a masters or doctorate in applied, health or natural sciences. A job offer if not a necessity for this program. All individuals wishing to apply in this BC PNP Program sub-category must meet the following requirements for eligibility. Immigration to British Columbia is possible through this BCPNP stream provided the following requirements are satisfied. The employer should also meet certain requirements as shown below. The Northeast Pilot Project Category of the PNP Program BC is now closed. Northeast Development Region workers are now covered under the British Columbia Provincial Nominee Program Entry-Level or Semi-Skilled Worker Category. Previously, applicants that live or plan on living in the Northeast Development Region of British Columbia could apply under this section if the had semi-skilled and unskilled professions. There was no need for a job offer. Now, applicants who are working in the Northeast Development Region of BC in a C or D NOC level occupation may apply for a BC PNP without a job offer via the BCPNP semi-skilled or entry-level categories. Entrepreneur Category – this section applies to business managers or owners who wish to invest money into a potential business in British Columbia. Regional Entrepreneur Category – this category is for business managers or owners that intend to invest money into a potential business in British Columbia that is in an area other than Vancouver. Strategic Projects Category – this sub-category applies to employees attached to a foreign-controlled business that is being set up in British Columbia. Up to five people attached to the business through managerial, technical or professional roles can be nominated for the sub-category. Regional Business Succession Option – this sub-category is for individuals who intend to purchase and run an already established business that is found in British Columbia. This option can also be applied to the above three options if the business is found outside Vancouver and Abbotsford areas. We will now go through the in-depth details of every sub-category of the BC Business Immigration category and will allow individuals to see whether they are eligible to apply for the program through one of the many streams. BC entrepreneur immigration is not currently available through the Canada Express Entry system. The BC PNP Entrepreneur Immigration category contains four sub-categories. To be eligible for this category of the British Columbia PNP Program, applicants must meet the following requirements. Once the application is approved, the individual will have to follow the following procedures. Prospective immigrants that are invited to apply for business immigration to BC must engage a “qualified supplier,” such as a professional chartered accounting firm, to verify his or her personal net worth and review the accumulation of funds. Immigration to British Columbia, excluding Vancouver immigration, is possible via this BC PNP Business Category stream as long as the following requirements are satisfied. If the application goes through then the applicant must meet the following requirements. Foreign companies that wish to establish a branch in BC may take five key staff member with them. Applicants under this 2018 BCPNP category must meet the following requirements. If the application is approved the individual must then meet the following requirements. This sub-category applies to individuals that are eligible in one of the above Business Immigration options, which will allow them to buy and run a British Columbian based business from a retiring owner. This sub-category allows for priority processing. December 8, 2016 – The British Columbia Provincial Nominee Program issued 500 invitations to apply. The BC PNP invitations were given to registrants from the Skilled Worker, International Graduate, and Entry Level and Semi-Skilled streams of the Skilled Immigration category, as well as applicants from the Skilled Worker and International Graduate streams of the Express Entry selection pool. BC immigration processing times for people participating in the BCPNP can vary. According to the official immigration British Columbia website, the current processing time for recent Skilled Immigration applications is 2-3 months, and for recent Entrepreneur Immigration applications is 3-4 months. We do our best to keep these processing times updated, but please be aware that these times are subject to change and may not always be completely accurate. BCPNP staff do not pre-assess candidates, and will never recommend which category prospective immigrants should apply under. This being said, BC PNP staff do provide ongoing support to nominated immigrants. This includes writing a support letter that can be used when applying for a Temporary Work Permit, allowing the employer to avoid the burdensome requirement of a Labour Market Impact Assessment (LMIA). Although the BCPNP is primarily employer-driven, it is possible to eligible for British Columbia immigration under the international post-graduate category even if you do not have an eligible job offer. All the other British Columbia Provincial Nominee Program categories require the support of a qualified BC employer. Temporary work positions do not qualify as eligible employment under the BC Provincial Nominee Program; only full-time indeterminate job offers will be approved under the program’s terms and conditions. How Much Does It Cost to Apply to BC PNP? There is a $550 processing fee that must be paid when applying to the British Columbia PNP Express Entry and Skilled Immigration categories. There is a non-refundable $300 registration fee to register your interest in the BC Entrepreneur Program. If you are invited to apply for the British Columbia Entrepreneur Program, there is a $3500 application fee. There is also a $1000 fee for each key staff member included in a BC Entrepreneur application. The British Columbia SIRS is a brand new points-based “Expression of Interest” immigration management system that allows candidates to formally express an interest in the BC PNP. SIRS then allows the Province of British Columbia to select the most promising prospective immigrants in an efficient manner based upon the BCPNP score they receive. The highest scoring candidates will then receive an invitation to apply to the British Columbia Provincial Nominee Program. Candidates who create a profile with BCPNP Online are scored under a variety of factors. SIRS scoring is based on economic factors, human capital factors, the annual salary of the job offer, the region of the province the employment is in, and the skill level of the employment. Candidates who register are kept in the BC PNP pool for 12 months and have 30 days to apply for BC immigration if they receive an invitation to apply from the program. BCPNP draws happen frequently, so it is important to keep your profile up to date to ensure the highest score possible. Interested parties are not eligible for the BC PNP if they are inadmissible to Canada for any reason, were not lawfully admitted to their current country of residence, are working in Canada illegally, have an unresolved refugee claim, are resident in Canada without authorization (due to loss of Canada PR status for example), or are under a Canadian removal order. 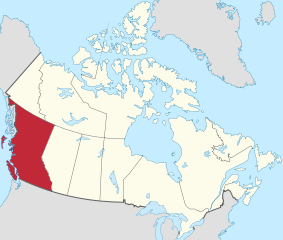 BC is one of the largest Canadians provinces taking up approximately 10% of Canada’s land surface. British Columbia is home to an array of different cultures, lifestyles, ethnicities, and religions and this is what makes it so popular to the thousands of immigrants that come to the province every year. The economy in British Columbia is steadily growing, and it is mostly reliant on natural resources. Forestry and mining are two of the biggest industries in the economic sector, and the province boasts Canada’s third-largest hydro-electrical power scheme and it is the country’s second-largest producer of natural gas. Tourism also makes up a huge part of the economy contributing over 13 billion dollars every year and creating a job for every 1 in 15 British Columbian. Its national parks and protected areas attract more than 40 million visitors every year with many people seeking out the Spirit Bear and Orca’s on their travels around the province, and its rugged outdoors make it an adventure seeker’s dream destination. It has consistently been voted as one of the most beautiful places in Canada and continues to attract people from all walks of life. The province is also home to Canada’s third-largest city Vancouver, and this makes British Colombia a perfect place to nature lovers and city slickers alike, to settle down. It also has one of the best healthcare systems in the world, and education in the province is of the highest quality. It is easy to see why British Columbia is one of Canada’s most popular provinces, and it goes a long way in explaining why there are such a large number of foreigners who wish to settle in the province. Relocating to British Columbia can be done through several different programs, but one of the fastest and most popular program in the CIC is the British Columbia Provincial Nominee Program. The program offers graduates and potential skilled workers that have experience in a field that is being targeted for growth by the province. These potential immigrants may receive a British Columbia Provincial Nomination Certificate that will invite them to apply for Canadian permanent residency, and they will find a processing time that is much shorter than many of the other immigration policies. For updated BC PNP processing times and other BC immigration news, please visit the official British Columbia immigration website. In addition to British Columbia immigration news, the official Immigration BC website contains BC PNP checklist and BC PNP timeline information, as well as BC PNP Forms. The official British Columbia immigration website also contains BC PNP contact info for people who need to communicate with the program directly. Most potential immigrants considering living in British Columbia are interested in Vancouver immigration. Vancouver is the largest city in the provinces and is the economic and cultural heartland of BC. Victoria BC immigration and Kelowna immigration are also popular. Vancouver is one of Canada’s most beautiful cities, and its friendly people and incredible nature make it the perfect place to resettle. The British Columbian Provincial Nominee Program is one of the most popular ways to gain permanent residency in Vancouver. The BCPNP 2018 is often referred to as the Vancouver PNP program since many participants are interested in moving to Vancouver. If you are interested in immigration to Vancouver, you should definitely consider applying under one of the many streams of the British Columbia Immigration Nominee Program. As you can see, it offers a wealth of different options and categories for various fields of occupation. The processing time of the program is much faster than many of the other immigration programs offered by CIC and it if you are eligible it is a quick and efficient way to get your Canadian permanent residency to live in Vancouver. Interested in BC immigration through the 2018 British Columbia Provincial Nominee Program? Contact us today for a free consultation.